fulfill the role of Conquering King when He returns. colt, the foal of a donkey, as was prophesied in Zechariah 9:9.
disciples began to rejoice and praise God with a loud voice for all the mighty works that they had seen; Saying, Blessed be the King that cometh in the name of the Lord: peace in heaven, and glory in the highest.” - Luke 19:35-38. "Then he brought me back the way of the gate of the outward sanctuary which looketh toward the east; and it was shut. Then said the LORD unto me; This gate shall be shut, it shall not be opened, and no man shall enter in by it; because the LORD, the God of Israel, hath entered in by it, therefore it shall be shut. It is for the prince; the prince, he shall sit in it to eat bread before the LORD; he shall enter by the way of the porch of that gate, and shall go out by the way of the same.” - Ezekiel 44:1-3. Recently another gate has been discovered directly beneath the Beautiful Gate. This may be the gate referred to in Scripture. 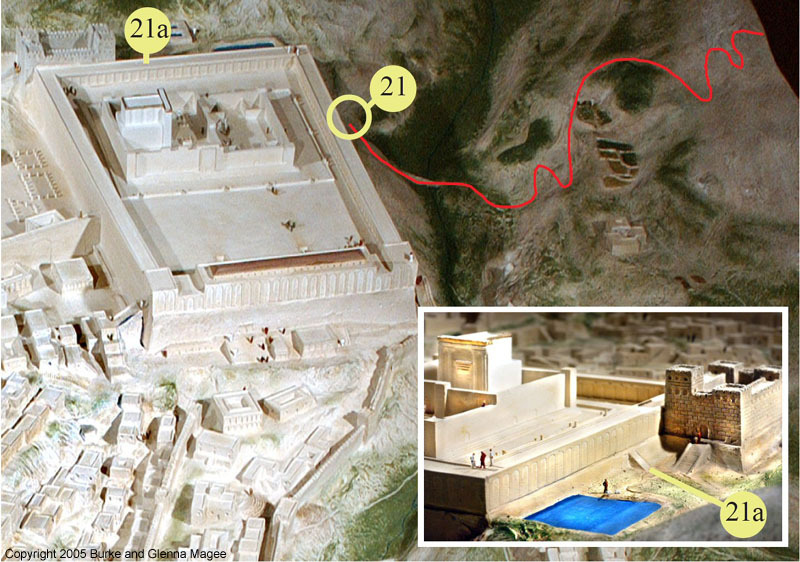 Yeshua may have entered Jerusalem by the Sheep Gate north of the Temple complex. This would be consistent with His role as the Lamb of God, since it was through this gate that the sacrificial lambs were brought into the Temple.